In memory of Oprah’s Ultimate Favorite Things, we thought we’d keep the tradition alive in 2011, and put our own spin on a favorite things wish list! 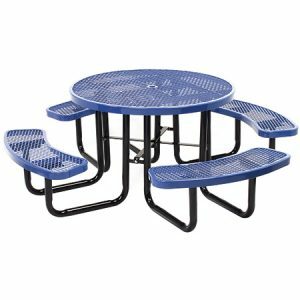 I’ve taken a staff poll and have rounded up some of our most popular items from tables, chairs, and barstools. One of our staff loves this black with gold dot stacking chair so much she owns one! 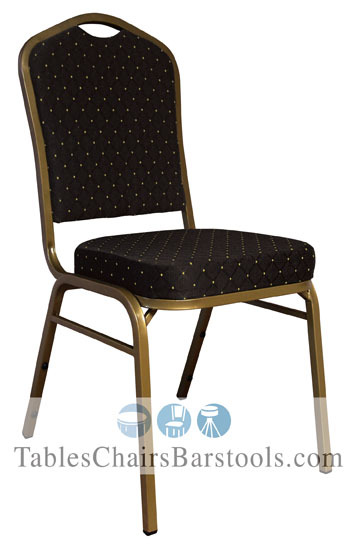 Great for banquet centers, social club halls, meeting facilities, event venues, or other businesses looking for easy-to-stack and store chairs, this banquet stacking chair features a fabric upholstery in black with a gold dot and is designed with a solid gold frame of 16 gauge steel. With an extra brace on the front, this chair is sturdy and durable. It ships in 1-2 days of ordering and comes with a limited lifetime warranty on its frame. On sale now, order your selection of these stacking chairs for just $21.99/each plus shipping. This mahogany wooden ladder back bar stool tops the favorite things list of another one of our staff members. Besides the owners, this staffer is our most veteran staff and has the greatest product knowledge of anyone. The timeless style of this class wooden with ladder back bar stool includes a double support bar structure, a foot rest with kick plate, durable nylon floor glides, and a 7-year limited commercial warranty. 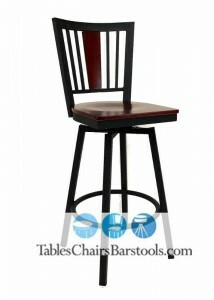 This bar stool will add some class to any bar or restaurant! Order your shipment today at the low sale price of $59.99/each plus shipping. Several of our staff voted for our new Steel City Collection. While our East Coasters have added the tall-backed steel chairs and bar stools to their kitchens and can visualize them in their home’s man caves, our business customer base have also fallen in love with the Steel City. To read more about our Steel City Collection, read our previous blog entry. 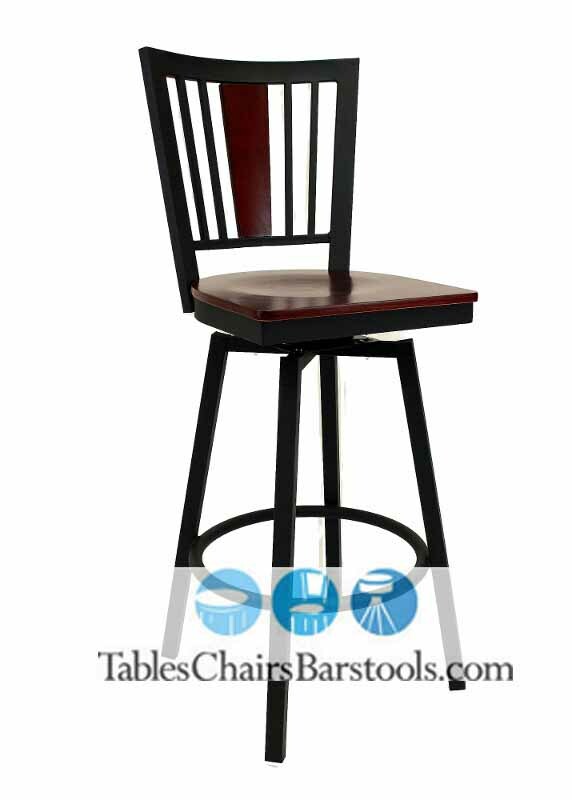 With a variety of chairs and bar stool options available, find the right item for you! We have coordinating outdoor trash receptacles, benches, and an entire line of outdoor commercial umbrellas for your entire outdoor area! This model comes in several colors and is on sale for $629.99/each plus shipping today. Looking for a cafe table top? One of our East Coasters likes our resin table tops. 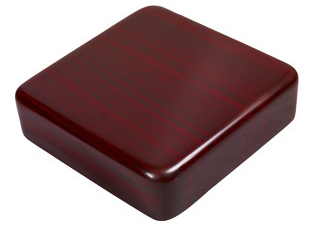 They come in cherry, natural, walnut, and her favorite, mahogany finishes. Available in many different sizes, in both square or round, they feature a waterfall edge and are extra thick, proving durable in a commercial setting. A 30″ round mahogany resin table top costs $44.99 plus shipping. In an attempt to be humorous…or honest...when asked what his favorite product was, one of our owners said, “the one that sells!” Who says you can’t give your customers a special gift for the new year? Give your restaurant, bar, or other business a mini-makeover with one of our favorite things! You’ll be happy, your customers will be happy, and our owner will be happy, too! Whether it’s tables, chairs, barstools, or something different…we wish you a season surrounded by all your favorite things.